The wits among you did so well with this blog's first caption competition that I thought you might like to have a go with this one... I found it on a Google Images Search. If anyone at Blackpool (or at the forthcoming hustings etc etc) takes an interesting snap that could be Caption Competition (3), (4), (5) etc please submit them to [email protected]. 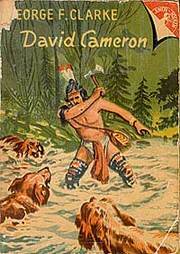 Cameron thrown to the dogs. "I knew I shouldn't have relied on that cornerstone to keep the flood out"
"David shows off his new trick while three older dogs look on! (now who could those 3 be :-)!!!)" "Tieless & Shoeless isn't enough for some modernisers"
our one may be tempted to say "Next PM rises above the tide of boring politics"
Where's David Davis when you need him! Are you sure David did this in the SAS? Cameron tries to avoid being 'Eton' by Labour's attack mongrels. (Which would happen if he is elected leader). "get me out of here I'm a politician!" "Tony Blair announces the 'new' alternative to fox hunting...."
"This is nothing compared with Eton." Cameron's hatchet job on his rivals. Mitchell and Conway - call your dogs off!